The FDW75T12N is a 7â outdoor IP ready dome housing from Videolarm which is designed to provide users with reliable surveillance camera protection that can be installed onto any wall surface with its wall mount. 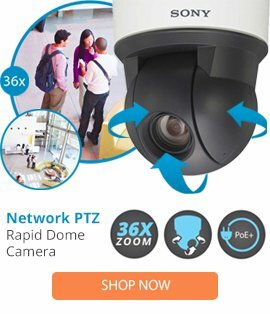 The FDW75T12N dome housing comes with high compatibility for most network camera brands, a wireless option, a 1Â½ pipe thread pendant mount, a universal mounting plate to accepts IP network camera systems, as well as a blower and a heater. The FDW75T12N dome housing also features wireless options, an optically clear polycarbonate lower dome, a durable plastic top with UV protection, plus a thermostatically controlled heater, surge protection, integral pan/tilt, and a tinted dome. This camera housing is able to be used in a large range of applications, and can easily be used to deliver high camera protection for additional money saving.